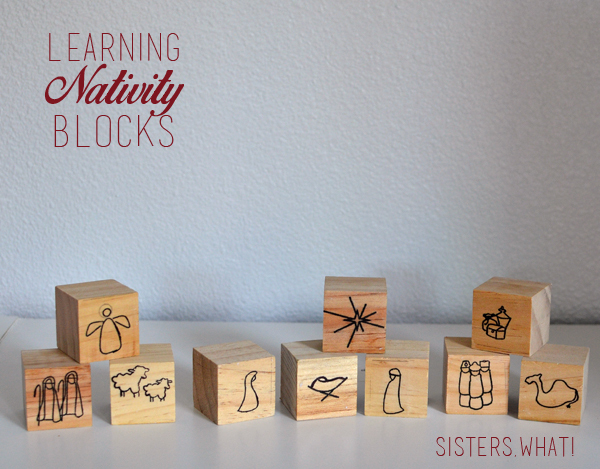 ' [Learning] Nativity Blocks Christmas Decoration for Kids - Sisters, What! This time of year, I just can't get enough of the Christmas story. Every night we talk about the Nativity story with our little one and he is always so attentive. 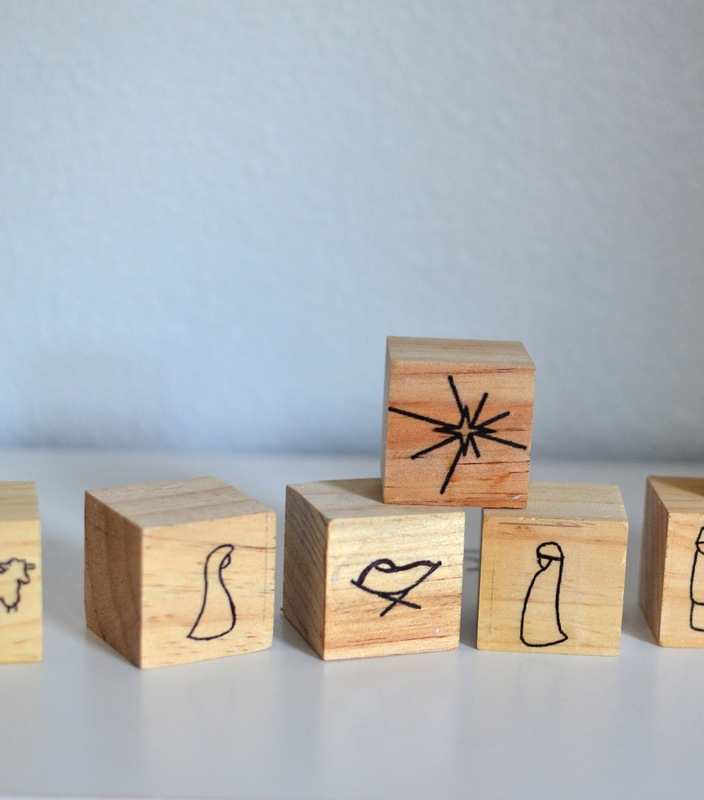 (For a wonderful and beautiful Nativity movie go HERE). 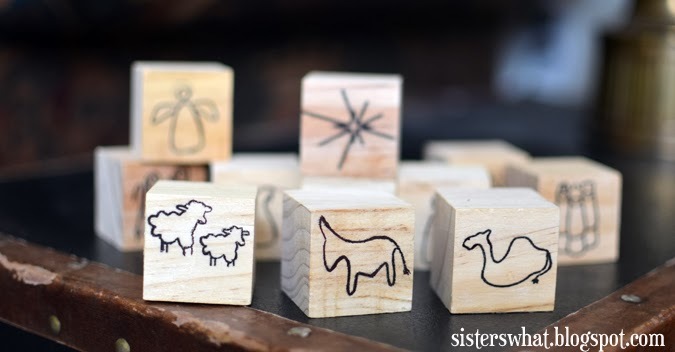 The tutorial was very simple and easy to do and doesn't require any weird supplies. I actually haven't finished my like she did hers. 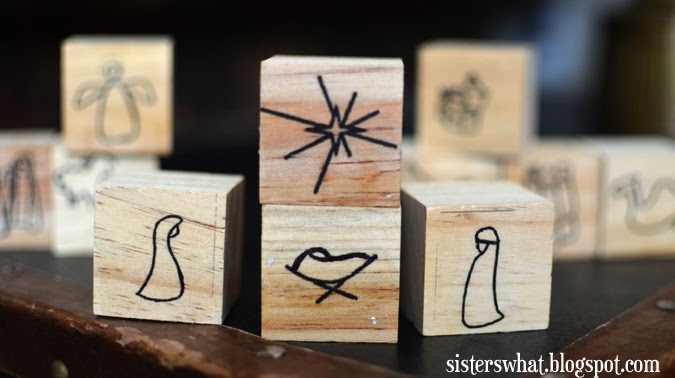 I only did the pictures, but I just haven't had the chance to add the words and scriptures on. Seriously, check hers out for the more detailed ones. Good thinking using a marker to darken the images. I'll have to try that on my own set! This is so so so awesome! I'm going over to check out this tutorial!